When you contribute to the Foundation, you will be helping to support a variety of educational enrichment opportunities. All age levels and curricular areas are considered and funds are giving through grant requests made by teaching staff twice a year. Remember when purchasing things online, set up your account on Amazon Smile (works the same as regular Amazon); select the Foundation as your charity, and a portion of the proceeds go to the Foundation to help support our teacher grants! This works year round!! Learn more about how to use Amazon Smile. 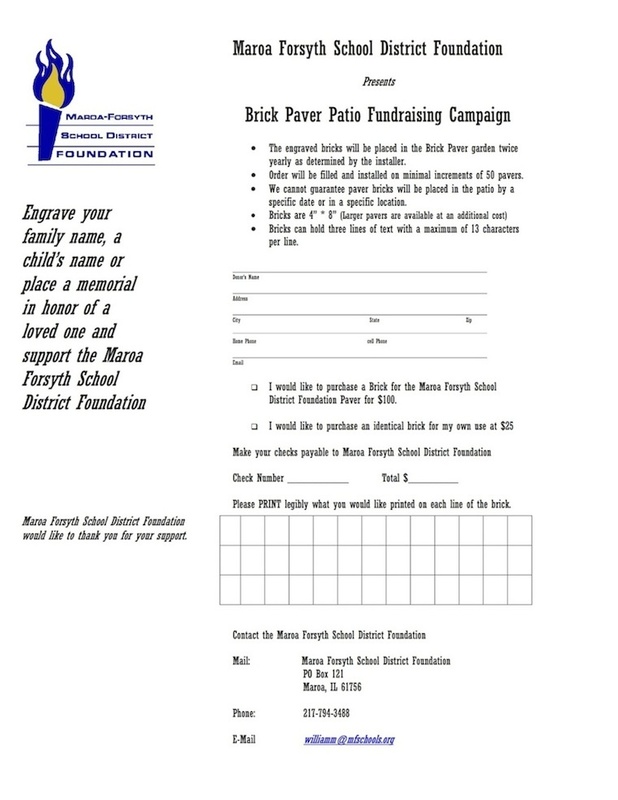 Engrave your family name, a child's name, or a place of memorial in honor of a loved one and support the Maroa-Forsyth School District Foundation. Purchase a brick today!